As today marks my first day as an Entrepreneur-in-Residence at Trinity Ventures, I'm spending a lot of time thinking about how to formalize my process for starting a new venture. Every startup goes through phases including brainstorming ideas, selecting evaluation criteria, performing due diligence on top ideas, picking a winner, deciding on a corporate structure, putting together the team, evaluating funding options, and more. While the popular press often glamorizes the startup story as an epiphany moment from an opportunistic individual that grows to a successful corporate behemoth, I prefer a much more systematic approach to entrepreneurship (and life in general, for that matter). As I begin this journey myself, I thought I'd document my new venture process along the way, share it with all of you, and hopefully hear from you on your own thoughts. Often one of the earliest steps in forming a new venture is coming up with the idea. I won't argue that this should necessarily be the first step though, since in my previous venture Anywhere.FM we picked the team before the idea and that was the right choice for us. I also won't argue that it is necessarily the most important step, because while a startup needs a great idea, it's not without great execution that an idea can become a successful endeavor. I'm often asked where I come up with all my ideas, as I'm typically chock-full of potential ideas percolating in my head. I have a variety of sources of inspiration that help me put together laundry lists of potential startup opportunities. Before I dive into my muses though, I think what's important to realize is that the best idea brainstorming happens outside of any specific brainstorming phase. Good idea generation is like a muscle that you are constantly flexing. It's a mindset and attitude towards the problems you face everyday and your ability to effect change. While some people are innately curious and problem solvers, I still think like any muscle, this skill is something that can exercised and improved. I'm personally innately curious. But what has been a huge boon for me was learning to program on my first computer, an Apple IIc, when I was in middle school. I quickly learned BASIC and fell in love with the idea that I could make things. In the early days it was often games to amuse myself (which is what typically attracts many young boys to programming), but as time passed I started making more useful applications. One of the issues I had early on was quizzing myself on vocabulary words. 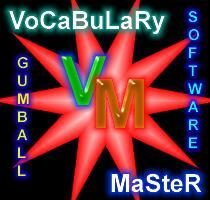 I quickly wrote a program I called Vocabulary Master to provide me random word definitions, give me three attempts to guess the word correctly, and tell me the word if I failed to remember it. It was a very simple application, but was the foundation for my strong belief that I can solve real world problems through software. Ever since then I've constantly had a list of potential ideas. Oftentimes when something bothers me or I think that something can be improved, I add it to a list of potential projects (and I have to say that I love the fact that now I have an iPhone always in my pocket to record my ideas). It's this critical lens of looking for ways to improve what you see every day and having the attitude that you can do something about it that I think makes for a great base of idea generation. I think often the best source of ideas comes from your area of expertise and the problems you face on a day-to-day basis in your career. You probably find yourself saying "Why is this so hard? There has got to be an easier way" every so often. It may be a product extension to your existing business's core products, or may be unrelated to the business, but a pain point you feel trying to get your job done. From my experience at imeem focusing on monetization, I've come up with countless pain points in trying to monetize social media and large publisher sites that could be fruitful startup opportunities. I think another very important exercise is analyzing macroeconomic trends and thinking about the opportunities it creates. What obviously comes to mind first these days is the recession, and I think a lot of startup opportunities will come out of that. Anywhere from helping people save money, find jobs, or tapping into the funds made available through the stimulus bill. But beyond the recession, I think there are a lot of other exciting market trends that are creating countless opportunities. Anywhere from the proliferation of APIs, to the rise of cloud platforms, to the opening up of mobile devices. I believe there remains significant inefficiency in applying new technologies across multiple vertical applications. It behooves a startup to focus at least initially on a very specific application to prove out the model and to provide the best experience. But this creates significant opportunity for other startups to bring that existing technology innovation to new verticals and thus becomes a fruitful source of startup ideas. I often think about how trends in certain spaces can be applied to new segments. For example, can we bring the viral spreading of applications native to Facebook apps to iPhone applications? Or can we bring the successful virtual goods monetization model from social games to non-gaming sites? If you have a specific area of interest or vertical segment that excites you, I think its hugely valuable to constantly keep up with the latest news in that area. These days its so easy to use Google Alerts to subscribe to daily feeds of the latest news, blogs, and search results of your topic of choice. I have these setup for various areas of interest, including open platforms and personal productivity. I think it's also very important to constantly be exposed to new startup ideas. When you hear people's ideas and their take on solving them, it definitely helps to get your own mind thinking about related opportunities in the space or at least helps to think critically about how they may have come up with such a solution. I daily skim TechCrunch as a great source of startup ideas. I think Jessica Livingston's Founders at Work was also a great case study of many different startup ideas. As I said, great entrepreneurs have this ability to constantly come up with ideas and potential solutions. I've been spending the last month catching up with a lot of my fellow entrepreneurs to not only chat about their business, but more importantly, interesting things that they have seen outside of their own startup. When an entrepreneur is busy executing against a specific idea, he is knee deep in one specific space. That doesn't mean though that he doesn't think about other ideas or have other ideas percolating in his head. I think its often great to tap into this creative thinking to spur some of your own ideas.